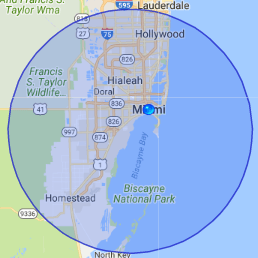 Water damage comes from many different avenues and our water damage Hollywood pros at 911 Restoration Miami has many years of experience remedying each one. We are licensed, insured, and bonded to save your home from ceiling leaks due to hurricane damage, pipe bursts due to worn plumbing, or any other flood condition. We understand that water damage is a precursor to mold so as soon as our free inspection and estimates are approved, our water damage Hollywood team can begin water removal. From full hazmat suits for sewage backup cleanup to breathing respirators for mold remediation, our water damage Hollywood crews make sure they are prepared for every home disaster Florida can create. Our crews understands that water damage needs to be abated immediately in an effort to minimize repairs and cost, which is why the water damage Hollywood pros are available 24/7/365 to act quickly. Our workers want get to work on remediating your water emergency within 45 minutes of receiving your urgent call every time, no matter what time of the day or night. Our IICRC certified water damage Hollywood members will give you our same day service in addition to a free home inspection, that way we can get an idea of the extent of the work involved in repairing your home. When your Hollywood, Florida home takes on water, call the water damage Hollywood team with 911 Restoration Miami for a fresh start that gets your home back to normal in no time today! Florida may be the sunshine state, but those that live here know rain is an ever-present possibility. Despite our houses being built for this weather pattern, rain leaks are still highly probable throughout Hollywood, Florida. When you come home to find a leak in the ceiling allowing moisture into your home, call water damage Hollywood professionals. Our water damage Hollywood technicians will answer your call day or night and provide you with the water extraction you need to recover your carpets, save the drywall, and protect the property from mold damage. With our fast and professional disaster restoration services, our water damage Hollywood specialists give you the best chance at finding minimal damage after your carpets have flooded or your walls have been soaked through. If your home does require full water damage restoration services, call our IICRC certified water damage Hollywood agents for a fresh start that will support you through every step of the process, from working with your insurance company to listening to your needs. 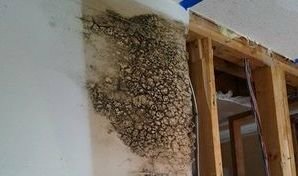 A customer in Hollywood, Florida called us when they started moving into their new home only to find their water heater had flooded the laundry room and master bedroom. It devastated his move-in process. Luckily, his personal belongings were not damaged as he had not moved in fully. We knew moving into a new home should be an exciting moment for him and wanted to retain this excitement. Our water damage Hollywood techs showed up, extracted the water, and even repaired the leak on his water heater. Our water damage Hollywood team simplified the whole process by contacting his insurance company and ensuring his rights as an owner. Soon enough, he was elated to move into his home with all new floors in the master bedroom too! This is what the fresh start attitude is all about, making things better after a worst case scenario. Our ur water damage Hollywood workers are proud to offer water removal services that always put the customer first to the entire Hollywood community. We want you to understand that homeowner’s insurance usually aids with water damage caused from inside the home, while flood insurance will help with rising water from the outdoors. Your coverage will depend on the situation and what type of insurance you have. Our water damage Hollywood unit wants you to know that no matter what your situation is, our operation wants to ensure that you get the coverage you are entitled to. We know exactly what information should be included in your insurance claim, and when you let our water damage Hollywood members file your claim for you, then have the best chances at reducing your out-of-pocket expenses. When you need a fresh start after similar flooding circumstances, call on the water damage Hollywood team with 911 Restoration Miami today!